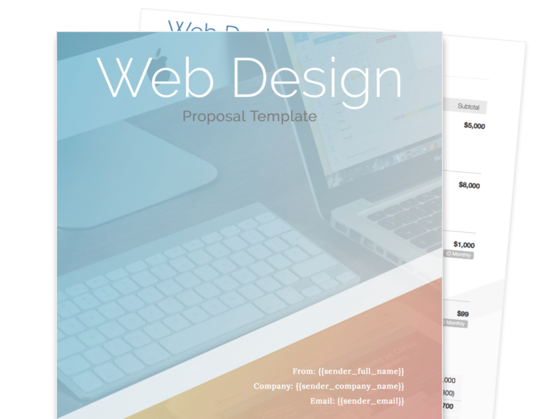 ​If you’re an agency or freelancer offering web design services, our customizable web design proposal template is perfect to close any deal. 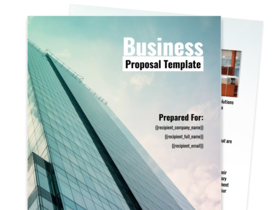 Deliver your web design services with confidence to those who need it by using this professional web design proposal template. 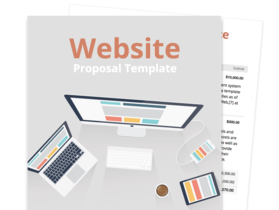 Take advantage of a professional proposal when introducing your company to prospective clients and making a case for their need of a properly working website. Effectively establish your company’s expertise by specifying the skills of the professionals working together in your team. Clearly describe the tools and technologies that you employ in your web design process. Let your client know exactly you’ll go about completing each stage of the web design project, from the planning and design stages to testing and final deployment. Web design agencies and freelancers whose goal is to create effectively designed websites that drive web traffic and sales for their clients. Convincing your prospective customer that you are the right web design professional for the job starts with effectively introducing yourself or your agency. In this section, you can identify the skills and tools that you have which will enable you to carry out the task of designing a website successfully. Build trust early on in the engagement by being transparent about your key personnel’s backgrounds and areas of expertise. Whether an individual is your company’s creative director, senior web designer, or sole graphic artist, creating profiles with each team member’s educational background, professional experience, and primary fields of specialization will help your clients better understand what your agency can do for them. As with any other proposal, it’s important to specify in your web design proposal how exactly you plan to go about designing your client’s website. Here, you can identify the key phases of the project, including the planning stage, creating the concept design, developing the codes, review and testing, and project completion. Aside from identifying the primary stages of website design, you also have to talk about the key responsibilities of your team members, as well as the tools and technologies that they will use. Your web design process may encompass many skills and disciplines, including web graphic design, interface design, coding, user experience design, and search engine optimization. 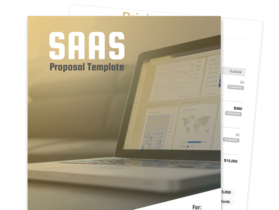 This section outlines the main deliverables that your agency will provide the client during or at the end of the engagement. Here, you can include the dates or durations within which you aim to complete each deliverable identified. It’s also important to provide your client with an easy-to-understand project cost estimate that details the fees for each service you plan to provide. Whether it’s costing for the wireframes and design, HTML or PHP coding, ongoing web design support, or web hosting, your fees should be clear and transparent from the get go. This short section finalizes your agreement with the client and confirms their consent regarding the pricing and the schedule of deliverable submissions.